2018 is Studio Wayne McGregor's 25th anniversary! Help us to celebrate by supporting 15,000 hours of FreeSpace. In 2017 we opened Studio Wayne McGregor in Queen Elizabeth Olympic Park. We always wanted to create a space for artists - a making place for Wayne and our Company of dancers, but also somewhere we could share with others. We wanted to share our resource, and encourage others to share their creative skills in return, so we created the FreeSpace programme. Through FreeSpace we give choreographic artists access to our world-class studio spaces for free, in return for them gifting back their time to delivering free learning and engagement projects in schools and local communities. So far 100 artists have taken part, using 4,500 hours, and engaging with 2,000 people in return. During our first 3 years in the building - until Wayne's 50th birthday in March 2020 - we have an ambition to give 15,000 hours of FreeSpace. That's 178 weeks of space for artists, and 178 days of community engagement projects that FreeSpace artists will give for free. We can give 10,000 hours, but we need your help to give the final 5,000. Please donate to this vital programme, give your fragment, and join our community of artists, givers, sharers, and makers. 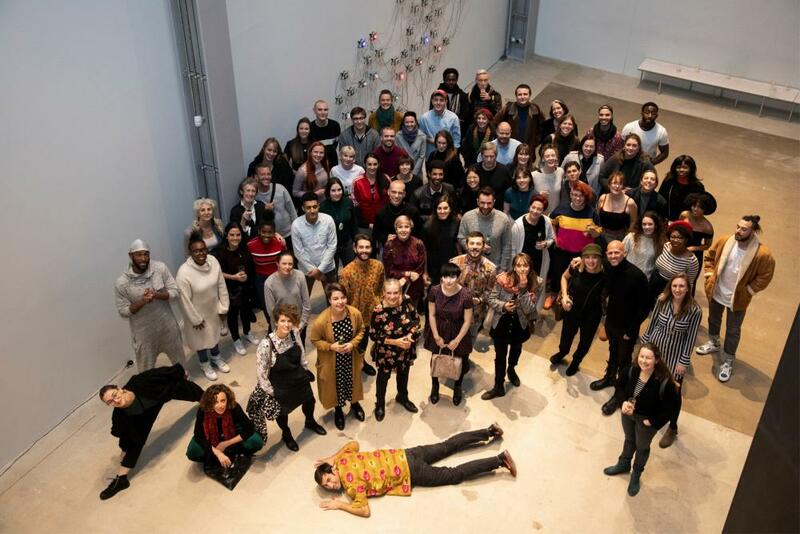 Picture: Wayne McGregor and FreeSpace artists celebrating at Studio Wayne McGregor. Photo by Alicia Clarke.